*As of Jan 18th 2019. Prices above are prompt payment price – if paid within 7 days of delivery. PLEASE CALL OFFICE FOR CURRENT PRICING. 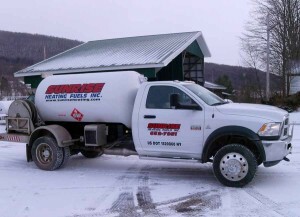 Sunrise Heating Fuels is a locally owned and operated full service Fuel Oil & Propane supplier. We have been servicing Stamford and the surrounding areas since 1992. Sunrise offers a variety of fuel products including heating oil, kerosene, propane, and diesel fuels. We also provide 24 emergency service. We at Sunrise are committed to providing above average customer service and understand that “you” the customer want a reliable, and efficient energy supplier. Sometimes assistance is needed outside of normal business hours… We provide fast, friendly emergency services 24/7! We provide delivery to your home or business automatically according to a degree-day system. We provide a wide range of services including: installation, repairs, plumbing and SecureHeat. Call today to learn more! Monday -Friday 8a.m. - 5p.m. 24/7 Emergency Services also available.